FMLA, ADA, OSHA, EEO, HIPPA, FLSA—employment law is an alphabet soup. One law in particular that gets a lot of attention is COBRA health insurance. Keep reading to learn more about the COBRA rules for employers and how to maintain COBRA compliance. COBRA, or the Consolidated Omnibus Budget Reconciliation Act, is a federal law that gives employees the option to continue health insurance coverage after ending employment. The majority of Americans have private health insurance; more than 56 percent receive health insurance through their employer, according to the . This percentage is much higher here in Hawaii, due to the Hawaii Prepaid Health Care Law, which requires employers to offer health insurance to employees who work more than 20 hours per week. The type of qualifying event will determine who the qualified beneficiaries are and the period of time that continuation coverage must be offered. Which employers are subject to COBRA? Generally speaking, COBRA applies to all group health plans maintained by private-sector employers with 20 or more employees. If you employed 20 or more employees in at least 50 percent of typical business days in the prior calendar year, you are required to offer temporary continuation of benefits under COBRA. 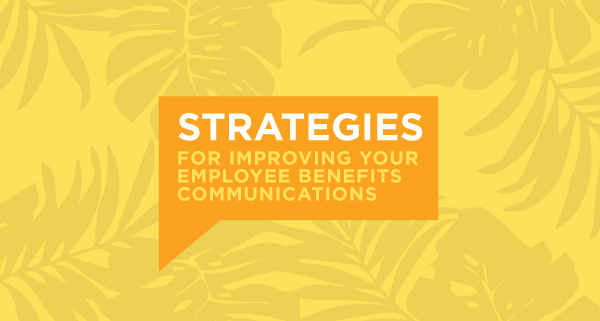 “Even if you have less than 20 employees today, as your workforce grows, understanding COBRA is essential,” says Lori Rego, Benefits Manager at simplicityHR. However, businesses should always consult with their HR representative before determining COBRA eligibility. What are the COBRA requirements for employers? As a Hawaii business with 20 or more employees, there are three important things you need to be aware of in order to remain compliant under COBRA. Communication is an important component of COBRA coverage. There are two key times when you will be required to explain the right to continue benefits to each employee. When an employee first joins your company group health insurance plan. Your business has 90 days to provide the employee with a COBRA General Notice, which basically describes the employee’s rights and obligations under COBRA. When a qualifying event occurs. Your business must notify the employee of their COBRA rights within 14 days of the qualifying event with an election notice. The employee then has 60 days to decide whether or not they want to continue coverage. Businesses are not required to offer continuation coverage for life insurance, disability insurance, retirement plans, or vacation plans. COBRA coverage typically lasts a maximum of 18 months from the date coverage is elected. For dependents, coverage can typically be continued for up to 36 months. In cases where the employee becomes disabled, the length of coverage may be extended to 29 months. If the employee experiences a second qualifying event during the regular COBRA coverage period, then the length of coverage may be extended to 36 months. Employers can require an employee to pay 100 percent of the costs of health insurance under COBRA. The premium that is charged cannot exceed the full cost of coverage, plus a two percent surcharge to help the employer or health insurance company cover administrative expenses. If employee payments are late, the employer is allowed to terminate coverage, but must first allow a 30-day grace period. What are the COBRA penalties for employers? COBRA penalties for noncompliance can be detrimental for a business. Noncompliance can result in severe financial penalties, including but not limited to: fines from the IRS, audit and enforcement actions by the Department of Labor, and private lawsuits against employers. Simply failing to notify an employee of their COBRA rights can result in a $100 per day fine. As a result, many companies choose to outsource the activities associated with COBRA compliance to an experienced HR outsourcing company, like simplicityHR by ALTRES. With nearly 100 years of combined benefits administration experience, the simplicityHR benefits team is not only the largest in the state, but the most knowledgeable, too. Our goal is to make the complex world of benefits simple for you. For more information, contact us today.